Coconut Macaroon Pie - Kosher In The Kitch! Coconut Macaroon Pie - Kosher In The Kitch! Pulse macaroons in food processor until fine crumbs. 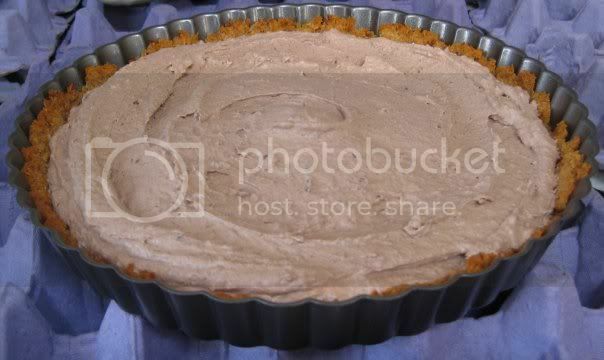 Put crumbs into 9 inch tart pan with removable bottom (spray with nonstick cooking spray) and press firmly into bottom and up the sides of the pan to create a crust. Bake for 10 minutes. Whisk cream (until soft peaks form) and combine with melted chocolate. Spread filling into completely cooled pie crust. Freeze.